In its 2014 Fuel Economy Guide, the United States Environmental Protection Agency puts one car at the top of the list when it comes to fuel efficiency: the 2014 Chevrolet Spark EV. 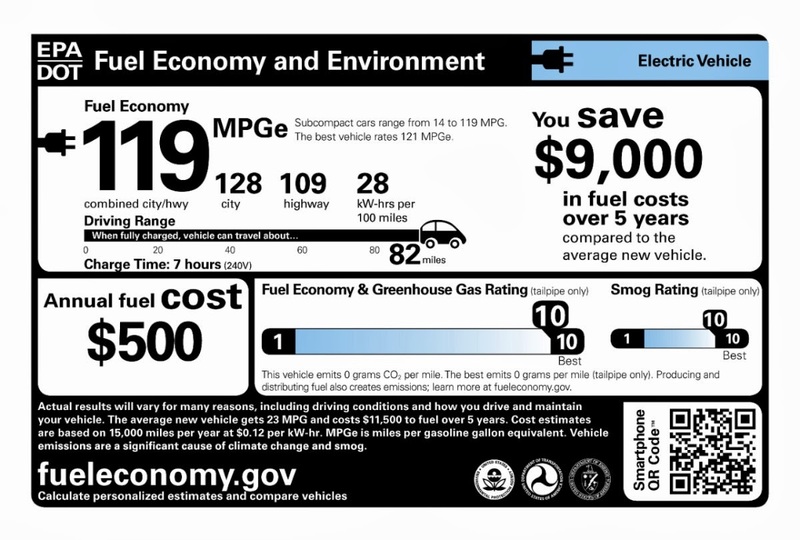 With an EPA-estimated 82 miles of driving range and a fuel economy equivalent of 119 MPGe, the average driver can save $9,000 in fuel costs over five years compared to the average new vehicle. Last year’s top ten list of the most fuel-efficient vehicles was comprised entirely of electric vehicles, so it’s not surprising that this year’s ranking is also packed with EVs. 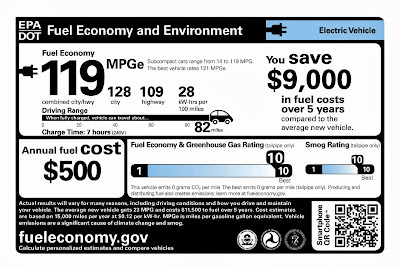 The Spark EV, sold in California and Oregon, is also the first vehicle in the U.S. to offer the SAE International fast-charge connector as a vehicle option. The new combined AC and DC charging, or combo, connector is accessible via a single charge port on the vehicle and allows electricity to flow at a faster rate. How much faster? DC fast charging charges 80 percent of the Spark EV’s battery in just 20 minutes for over 65 miles of range. By comparison, AC 120V charging, which can be done using a conventional household outlet, takes around 17 hours to fully charge. AC 240V charging reduces recharging time to less than seven hours for a full charge, but it requires a dedicated 240V charging station. Many major automakers have announced they will adopt the SAE combo fast charge connector standard. Adopting an industry standard for EV charging is an important step in growing the public charging infrastructure. GM is committed to leading the charge in the U.S. to develop energy alternatives like EVs and biofuels that help reduce dependency on petroleum, improve fuel economy and reduce emissions. It’s why we were part of the unveiling of the very first public SAE combo DC fast charging station last year at the Fashion Valley Mall in San Diego. 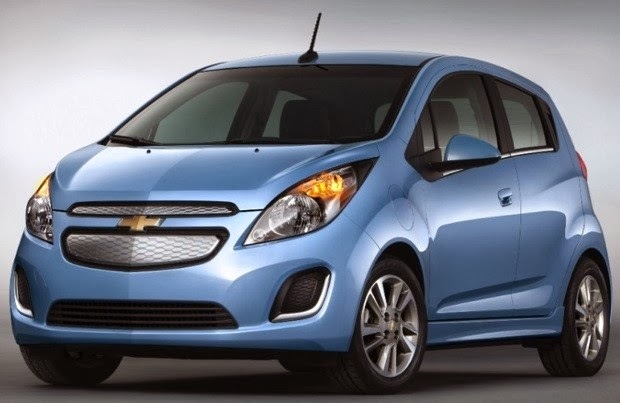 And it’s why our engineers work tirelessly to bring greener vehicles like the Spark EV, Chevrolet Volt, Chevrolet Cruze Diesel, Cadillac ELR and the bi-fuel Chevrolet Impala to market. If this year’s list of the most fuel-efficient vehicles on the market tells us anything, it’s that EVs are continuing to grow in popularity. And as more and more hit the market, choices for potential buyers will only increase, which means good things for the wallet and the environment.